Fribjon Bjornson was killed in January of 2012 and his severed head was later found in a vacant house on Naka'zdli Reserve. Four suspects have been arrested in relation to the murder of Fribjon Bjornson. Nov. 18, 2013 9:00 a.m.
Three men and one woman will be facing charges and are in custody in Prince George after a lengthy investigation. Twenty-seven year-old Wesley Dennis Duncan is facing a murder charge. Teresa Marie Charlie, 21, is charged with being an accessory after the fact to murder. Jesse Darren Bird, 31, is charged with accessory after the fact to murder and interference with a dead body. James David Junior Charlie, 23, is charged with interference with a dead body. “Our Major Crime investigators have been working extremely hard over the past year in order to identify and charge those responsible for this horrific crime. They have been working closely with the Bjornson family and though these arrests cannot bring Fribjon back, it can give some much needed closure to end the nightmare they have been living,” said Cst. Lesley Smith, North District media relations officer in a release. Bjornson’s murder has been hanging over the community of Fort St. James/Nak’azdli, with rumours swirling ever since the young man’s severed head was found in a vacant house on Nak’azdli Reserve on Feb. 3, 2012. His body was never found. 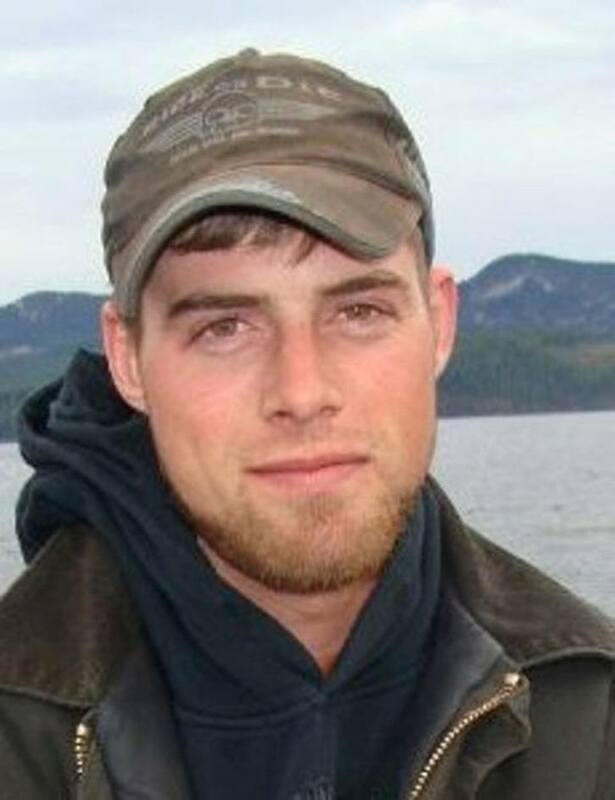 Bjornson had been missing since Jan. 12, 2012, after he was last seen leaving a 7-Eleven in Vanderhoof. The house on the reserve was searched following the location of his abandoned truck in the area. Bjornson lived in Vanderhoof but had been working north of Fort St. James and had friends in the community. Then there were numerous reports of rumours Bjornson had been killed and tortured during a drug fuelled party on the reserve. The alleged location of the party was next door to the abandoned house where his severed head was found. Fort St. James Mayor Rob MacDougall also echoed this sentiment, saying the incident and lack of visible progress likely created anxiousness for the family as well as the local community. Sam said some of those arrested were feared in the community due to their violent backgrounds. Bjornson was only 28 years old and the father of two young children, but he had struggled with a cocaine addiction, according to RCMP. Bjornson’s parents, Eileen and Fred Bjornson, had gone forward to the press with information people had brought to them of their son’s torture and murder in the basement where the party was going on, but those who told the grieving parents were reportedly too afraid to come forward to the police because they feared reprisals from those involved. The abandoned house where his head was found was later damaged in a fire and eventually demolished. Bird was known to police, as he had been a suspect, along with two other men, in what was called by the press a “brazen daylight shooting” in downtown Prince George in 2008. One man was shot in his vehicle on Dominion Street in Prince George in what police believed to be a gang-related shooting. Two others in the targeted vehicle at the time of the shooting were later found dead of gunshot wounds. All three suspects, including Bird, were acquitted due to insufficient evidence. RCMP have once again stated they have found nothing in the course of their investigation to support the rumours regarding any links between Bjornson’s death and the disappearance of Madison Scott. Scott and Bjornson were know to each other, but Scott’s disappearance in May 2011 still appears in no way to be connected to the Bjornson murder. Sam said Nak’azdli is striving to address crime in the community and has been holding workshops to reduce incidents of violence and hopes the community can work to improve substance abuse issues and work more closely with the RCMP. A counsellor in the community said she has been taking calls from people fearing backlash as a result of the arrests, after people spoke to police. The charges in the case have not been proven in court and police say the investigation is still ongoing and more arrests are still possible. As charges in the case have not been proven in court and therefore commenting has been disabled.